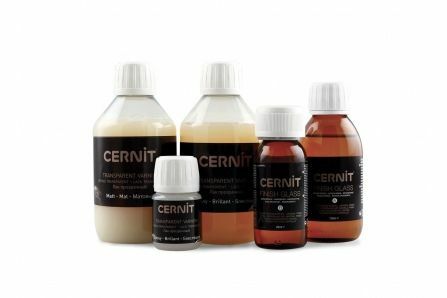 Matte or glossy, the finish of your Cernit polymer clay is perfectly smooth and resistant thanks to the Cernit varnishes! Varnish is a good way to get a shine easily. Indeed, it will fill the pores of the clay and make it perfectly smooth and regular. 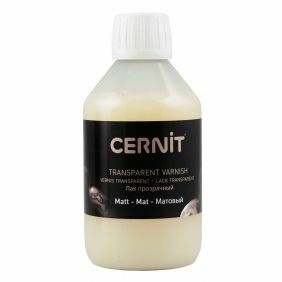 Matte or glossy, the Cernit varnish must be baked. Once the baking time is over, it will protect your achievements. They will not fear blows or falls! 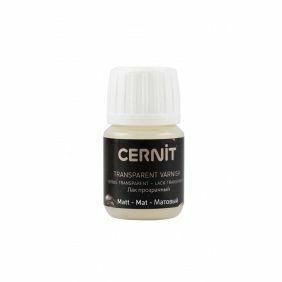 Apply with a finger or brush, this water-based varnish allows you to give the final touch to your jewelry, figurines, dolls, boxes and decorations with Cernit polymer clay. A real asset to keep your items in good condition for as long as possible. Prefer matte for a more discreet effect of the varnish. The shiny varnish meanwhile, gives a polished aspect, very appreciated for the realization of false precious stones or jewels. Cernit Sparkling mica glitter can be applied to your achievements to skate, make them sparkle, change the colour or give a colourful glow. 20 colours divided into 4 ranges: metallic, interfering, diamonds and duos. Metallic glitter are perfect for jewels! The interferents have a very covering rendering on dark colours and more discreet on light colours. In both cases, the colour effect can be seen by changing the viewing angle. The diamonds colors, made from glass powder, are ultra-brilliant! The powder catches the light and the diamond effect is guaranteed! The latest range, the duos, offer an effect never seen before! The powder changes color depending on the light. The clearer the color of the clay, the more subtle and discreet the effect of these powders will be. When mixed with the varnish, apply the powder evenly! This will enhance the visual of your achievements by bringing a touch of light. 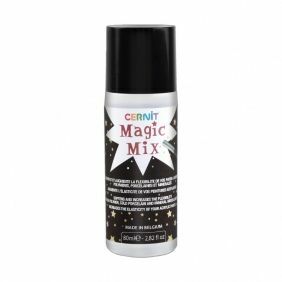 The Cernit Sparkling mica powders are there to put stars in your eyes! 4 ranges: metallic,diamond, interfering, two-tone effects ... These powders will enhance your creations in clear or dark Cernit polymer and give them a shiny reflects! 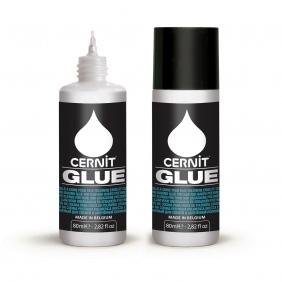 For your creations with Cernit polymer clay, use the appropriate varnish from the same brand ! 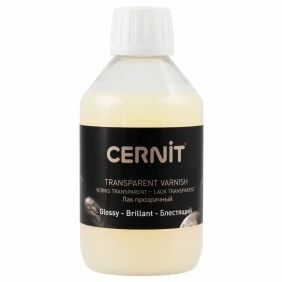 This water-based varnish has to be baked to be able to protect your figurines, jewellery or other creations from any scratches or hits. 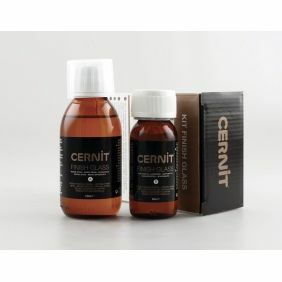 To create your own pieces with resin, the Kit Cernit Finish Glass holds 2 ingredients : a resin and a hardner. Once mixed, they react together and harden after a few minutes. Neither bubbles nor irregularities, your work has a perfectly flat and glossy surface, just like glass !